It didn’t take long for the latest 2018 driver announcement following a stellar championship weekend for all three series at Homestead-Miami Speedway. 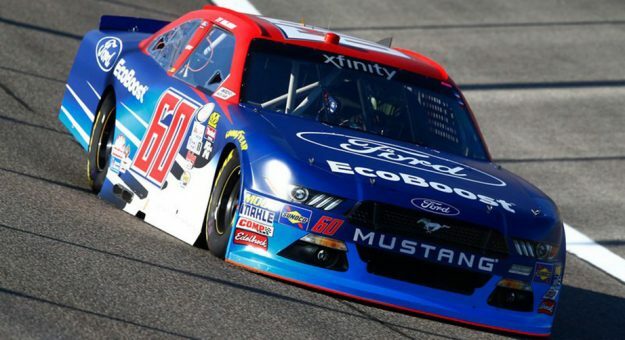 The latest NASCAR Silly Season news involves Roush Fenway Racing’s XFINITY program as Ty Majeski, Austin Cindric and Chase Briscoe will share seat time in the No. 60 Ford as part of the Driver Development Team next season, the team announced Monday via Twitter. The organization also announced a collaboration with Ford Performance and Team Penske, a Ford counterpart. Roush Fenway Racing veteran Mike Kelley will serve as the crew chief. Cindric and Briscoe competed in Brad Keselowski Racing’s final season in the Camping World Truck Series. Cindric earned one victory and a Championship 4 bid, while Briscoe came up just short of making the Playoffs, but notched his first career NASCAR win in the season finale at Homestead-Miami Speedway. Majaski ran three XFINITY Series races with the No. 60 team in 2017. He competed in both Iowa events, finishing 34th and 16th, while earning a 10th-place result on Saturday.